The monster hurricane will cause a lot of property damage, but not enough to significantly affect the well-capitalized insurance industry. The commercial insurance industry is bracing for losses following the destruction that Hurricane Florence will wreak in the Carolinas, and perhaps beyond, over the next few days. But no matter what happens, the industry is not likely to suffer more than a glancing blow — a testament to its fiscal health, despite the record insured losses suffered in 2017. If the storm stalls near the coastline for a couple of days, as most weather models are showing, it would bring prolonged hurricane-force winds, storm surges spanning multiple tide cycles, and unprecedented rainfall and flooding, notes Gary Marchitello, head of property broking for Willis Towers Watson. Catastrophe-modeling firms are estimating that commercial insured losses will be in the range of $8 billion to $20 billion. AccuWeather founder Joel Myers, meanwhile, is predicting costs of $30 billion, which would put it in the top 10 costliest hurricanes in U.S. history. 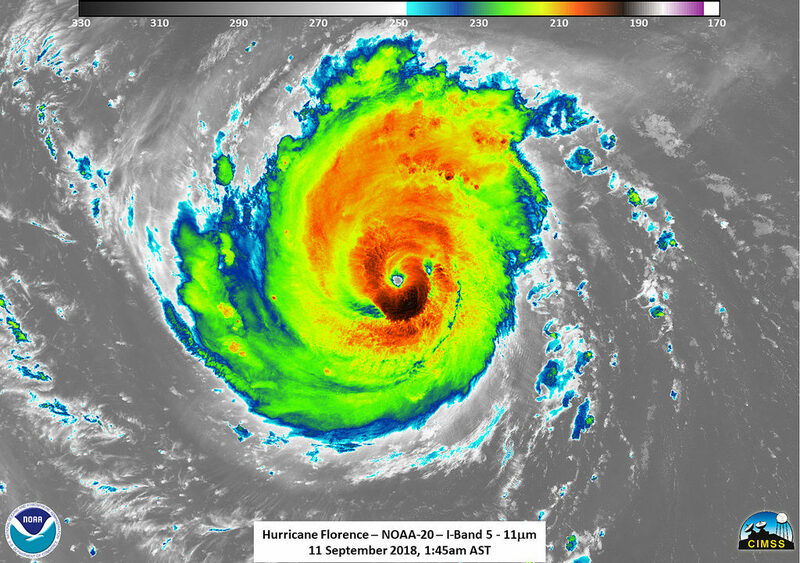 And, barring successive storms this year, Florence likely won’t lead to a prolonged “hardening of the market,” Marchitello adds. He does, though, expect the losses to create some short-term disruption and challenges in the commercial insurance marketplace. “Many underwriters will be pressured to raise rates, at least in the short term, and organizations involved in renewals will likely face capacity and rate challenges, particularly for catastrophe-exposed property programs,” he says. It often can take several months for losses to be calculated and market adjustments to play out. Additionally, as is always the case for major catastrophes, coverage issues will arise. “An oft-seen issue relates to ‘wind’ versus ‘flood’ and how a policy addresses flooding that accompanies a ‘Named Wind,’ a storm surge, or excessive rainfall as part of an insured’s hurricane limit/deductible or its flood sublimit/deductible,” Marchitello says. There are many variations in policies, with significant recovery implications, he notes. Typically for coverage to trigger, the claim must derive from physical damage to “covered” property and “perils insured” under the policy. Business-interruption claims, which help companies replace lost income during shutdowns, are also expected to be significant, amounting to roughly 20% to 25% of overall insured property losses. Here too, there is high potential for significant coverage issues, particularly around the coverage triggers. For example, there are extensions of coverage that almost always come into play under applicable insurance policies, says Marchitello. These include business interruption and/or shutdowns due to a range of issues, including civil and military authority, ingress/egress, protection and preservation of property, contingent business interruption, and service interruption. Image: NASA Goddard Space Flight Center. CC BY 2.0. No changes were made to the original.